Media Hypocrisy - Sadly one cannot help but suspect that attacks on Christian communities in Africa are not particularly newsworthy, whereas attacks on Muslim communities in the West (far less common) are much more newsworthy!! Breitbart News : Political leaders and public figures were falling over themselves this weekend to condemn the mosque attacks in New Zealand, while dozens of Christians were slaughtered by Muslims in Nigeria to the sound of crickets. The mosque attacks were indeed a horrific affair and worthy of universal condemnation. Presidents, prime ministers, royalty, and religious leaders rushed to extend their condolences to victims and their families — as well they should — while decrying the hate that purportedly motivated the shootings. Without exception, the mainstream media gave top billing to the shootings, with newspapers carrying the story on their front pages and television news channels leading off their broadcasts with the story. 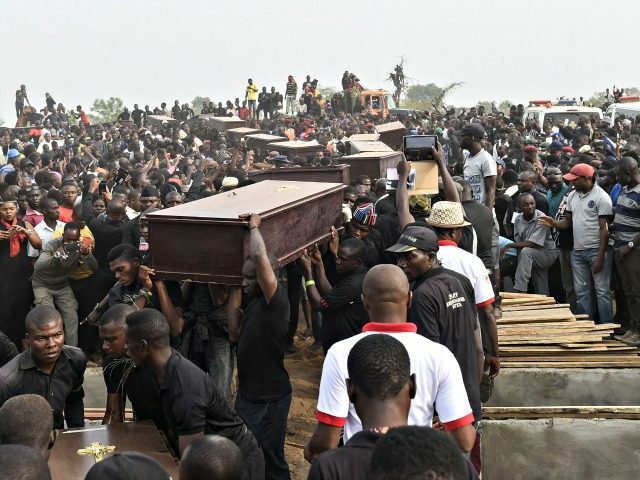 The bizarre aspect of the coverage was not, in fact, the attention paid to a heinous crime committed in New Zealand, but the absolute silence surrounding the simultaneous massacre of scores of Christians by Muslim militants in Africa. The news shows from the three major television channels did not mention the story, and nor did CNN or MSNBC. There are several possible explanations for this remarkable silence, and none of them is good. Since, in point of fact, Muslim radicals kill Christians around the world with alarming frequency, it is probable that one more slaughter did not seem particularly newsworthy to the decision-makers at major news outlets. Muslims being killed, on the other hand, may strike many as newsworthy precisely because it is so rare. Moreover, the slaughter of black Christians in Africa may not enkindle rage among westerners the way that the murder of white and brown Muslims in New Zealand would. Finally, the story simply does not play to the political agenda that many mainstream media would like to advance. How much mileage can be gained from Muslims murdering Christians, when Christians in America are often seen as an obstacle to the “progress” desired by liberals? The left sees Christians in the United States as part of the problem and seeks to undermine their credibility and influence at every turn rather than emboldening them.